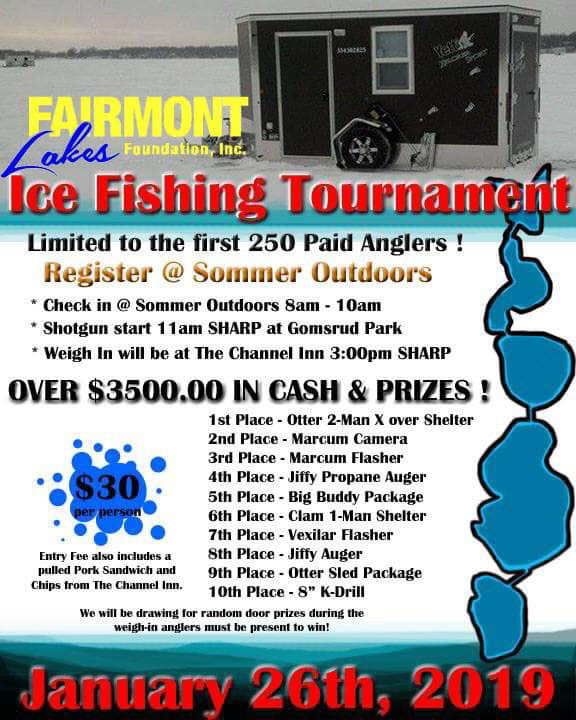 It’s fun for everyone January 26th at our Annual Fairmont Ice Fishing Tournament. The event, based at Gomsrud Park, begins with an 11 am shotgun start and weigh-in is promptly at 3:00 pm at Channel Inn. The registration fee includes a delicious pulled pork sandwich and chips from The Channel Inn. Over $3,500 in cash and prizes will be awarded. 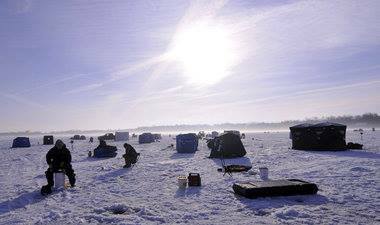 Sponsorship Opportunities are available and Anglers can pay fees online. You’ll still need to send in your registration form (Download here). If you would like to help get the word out about this event, you can download and print the poster — CLICK HERE!